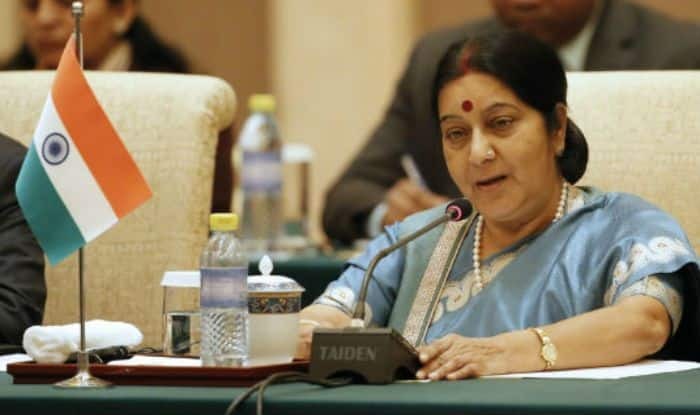 New Delhi: A day after Rahul Gandhi accused the ruling Bharatiya Janata Party of humiliating veteran leader LK Advani, Union Minister Sushma Swaraj lambasted the Congress president, asking him to ‘maintain some decorum of his speech’. “Rahulji – Advani ji is our father figure. Your words have hurt us deeply. Please try to maintain some decorum of your speech,” tweeted Swaraj. Earlier on Friday, while addressing a poll rally at Chandrapur, Gandhi had said, “BJP talks of Hinduism. In Hinduism, guru is supreme. It talks of guru-shishya tradition. Who is Modi’s guru? Advani. Joota maar ke stage se utara (Advani was kicked out from stage).” Gandhi said Modi had humiliated Advani, and added that disrespecting one’s guru is not Hindu culture. Notably, Gandhi’s remark was a veiled reference to Advani who was denied Lok Sabha poll ticket from Gandhinagar, from where BJP fielded party president Amit Shah instead. Last week, Shah filed his nomination from Gandhinagar Lok Sabha seat, which is currently held by BJP patriarch Advani. Former Punjab Chief Minister Parkash Singh Badal and LJP founder Ram Vilas Paswan also accompanied Shah. This is the first time Amit Shah, who is the Rajya Sabha Member of Parliament (MP), will be contesting for the Lok Sabha elections. Gujarat will go the polls on April 23. The counting of votes will take place on May 23.